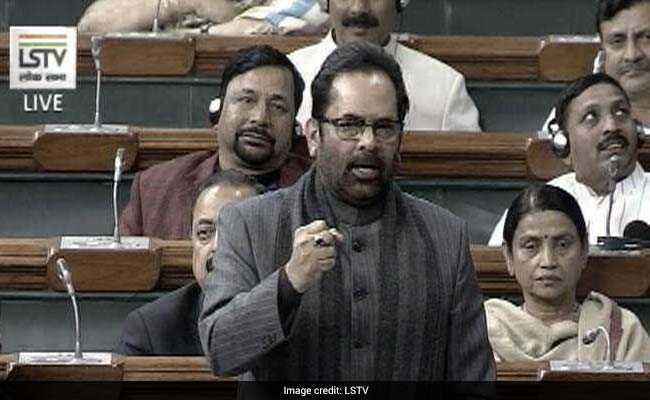 Mukhtar Abbas Naqvi's sharp attack on the main opposition party came hours after Rahul Gandhi filed his nomination papers from the Wayanad Lok Sabha constituency in Kerala. Mukhtar Abbas Naqvi claimed the Congress is "expert in exploitation" of votes on a communal basis. Senior BJP leader Mukhtar Abbas Naqvi on Thursday alleged that Congress president Rahul Gandhi's journey from Amethi to Wayanad has exposed the "communal character" of his party. 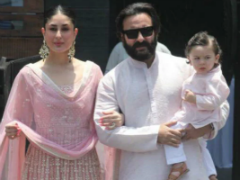 Mr Naqvi's sharp attack on the main opposition party came hours after Rahul Gandhi filed his nomination papers from the Wayanad Lok Sabha constituency in Kerala. The 48-year-old Gandhi scion is also contesting from Amethi in Uttar Pradesh. Hitting out at the Congress and its ally Indian Union Muslim League (IUML), the Minority Affairs Minister said "Muslim League ka jhanda" (the flag of the Muslim League) and "Congress ka Agenda (the agenda of the Congress)" have been exposed. Speaking to reporters in New Delhi, Mr Naqvi claimed the Congress is "expert in exploitation" of votes on a communal basis. Mr Naqvi claimed that the Congress granted "recognition" to Muslim League's "communal politics" by inducting it in its UPA government in 2004 for the first time after Independence. "Congress president Rahul Gandhi has reached Wayanad to carry forward the same communal agenda of the Congress," he alleged. The journey of the Congress president from Amethi to Wayanad "exposes the character of the Congress, which carries the veil of secularism and the bag of communalism", the BJP leader said. The people of the country will not allow the Congress to "hijack" votes on a communal basis, he alleged.